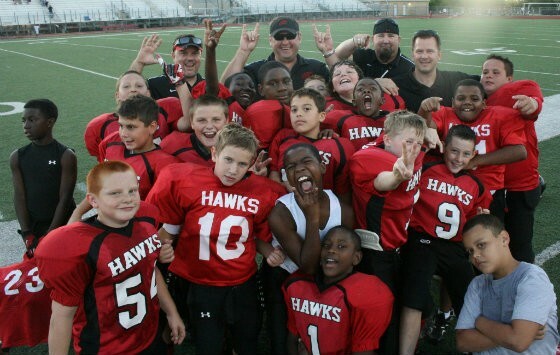 Photograph of the Allen Hawks, posted September 22, 2012, on the team’s Facebook page. Nevertheless, football remains the American high school sport with the highest number of participants, with well over a million players. In the city of Allen (as in the rest of Texas) devotion to football shows no sign of flagging. Bryan Curtis’s highly praised account, originally published in Texas Monthly, focuses on the city’s youth league, which hosts flag football programs for children as young as four years old until they complete the second grade, when they move up to tackle football teams for third- through sixth-graders. 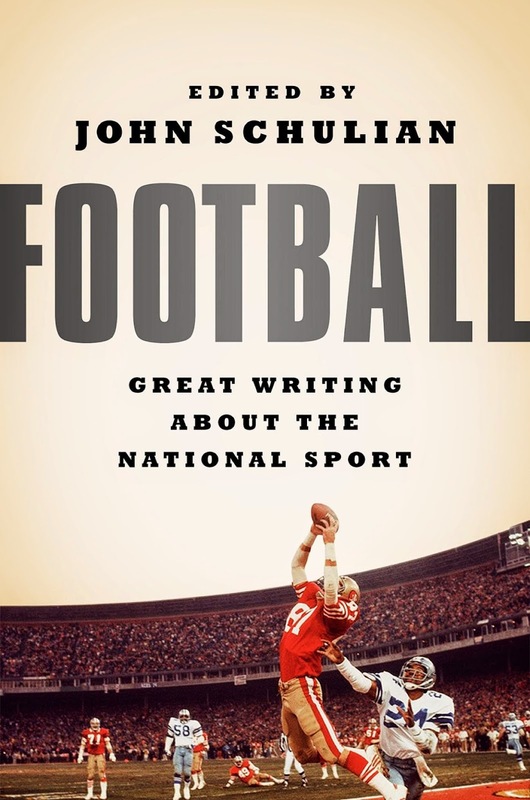 The selection, which was included in the recently published anthology Football: Great Writing about the National Sport, is preceded here by John Schulian’s brief biographical note about Curtis. “Friday Night Tykes” contains a section describing the city’s new controversial $60 million football stadium, built for its high school team and inaugurated in August 2012. Even before Curtis’s essay was published, “countless cracks, some as wide as three-quarters of an inch,” began appearing in the concrete of the stadium’s elevated concourse, and the condition worsened until the structure was declared unsafe for use and closed for restorative work in February 2014. A subsequent engineering appraisal uncovered flaws affecting “the concourse framing, retaining walls, press box support columns and structure, single-story structures, the main scoreboard and the overall durability of the stadium.” The structure reopened in late May 2015. Preteen football players are usually described by other preteen football players with one of three words: “nice,” “funny,” or, the highest possible compliment, “awesome.” Celdon Manning, a running back with the Allen Hawks, is the rare athlete who makes his teammates reach for the Scholastic Children’s Thesaurus. . . . If you don't see the full selection below, click here (PDF) or click here (Google Docs) to read it—free!